This is the first large study to examine medical history and environmental and lifestyle risk factors for B-cell non-Hodgkin lymphoma and its subtypes in these populations. Recreational sun exposure, use of black hair dye, a history of hospitalization for infection, and having a first-degree relative with a blood cancer are risk factors for developing B-cell non-Hodgkin lymphoma (B-NHL) among both Palestinian Arabs and Israeli Jews, according to a large scale collaborative study led by a Hadassah Medical Organization and Hebrew University physician/researcher. The research team, comprising both Israeli and Palestinian investigators, found that among the Palestinians, risk factors also included gardening and a history of herpes, mononucleosis, rubella or blood transfusion–factors that were not linked to B-NHL in the Jewish population. By the same token, risk factors found only among the Jewish population were growing fruits and vegetables and self-reported autoimmune diseases. The authors hypothesize that in both populations, these “hobbies” may reflect exposure to pesticides, although other exposures, such as to ultraviolet radiation via sun exposure are also possible. In addition, the researchers discovered that some factors, such as smoking and greater than monthly use of indoor pesticides were associated with specific subtypes of B-NHL. While very few epidemiological studies have been conducted on B-NHL in Middle Eastern populations, data from 2012 ranks Israel as first in the world in the incidence of NHL. This is the first large study examining medical history and environmental and lifestyle risk factors for B-NHL and its subtypes in these populations. The study, highlighted in the February 14, 2017 issue of PLOS ONE, was led by Prof. Ora Paltiel, Director of the Hebrew University-Hadassah Braun School of Public Health and Community Medicine, and Senior Physician in Hadassah’s Hematology Department. “Since Israelis and Palestinians represent genetically and culturally diverse populations living in geographic proximity,” the scientists explain, “research analyzing their risk factors can enrich our understanding of genes and environment in the causation of lymphoma.” They bring out that, while sharing the same ecosystem, the populations differ in terms of lifestyle, health behaviors, and medical systems and, yet, both populations report high incidences of NHL. This form of lymphoma represents the fifth most common malignancy in Israel and the eighth most common malignancy among West Bank Palestinians. In addition, they found that B-NHL was diagnosed, on average, nine years younger in Palestinian and Israeli Arabs than in Israeli Jews. 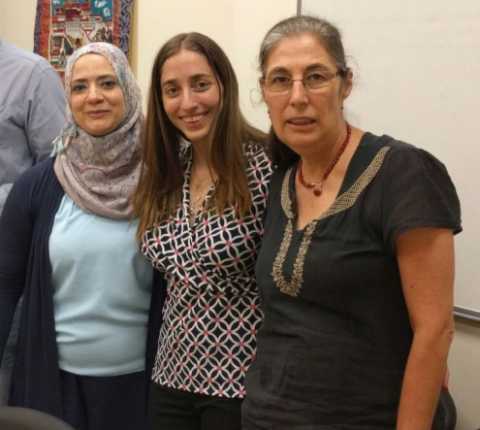 Recruiting from both the Palestinian and Jewish populations, the researchers looked at medical history and environmental and lifestyle factors among 823 people with B-NHL, along with 808 healthy individuals, serving as a control group. The authors conclude that since risk factors operate differently in different ethnic groups, it raises the possibility of gene-environment interactions, where individuals of different genetic backgrounds react differently to certain environmental exposures. At the same time, they bring out, this divergence may reflect differences in diet, cultural habits, socioeconomic characteristics, environmental and housing conditions, medical services, exposure to infections in early life or other factors. This study was approved by Hadassah’s Ethics Committees, the Israel Ministry of Health’s Genetics Committee, and the Palestinian Ministry of Health’s Institutional Review Board. It was financially supported by the United States Agency for International Development (USAID), the Israel Science Foundation, and the Hadassah University Hospital Compensatory Fund. The Hebrew University, in describing the study on its website, notes: “This study reflects a unique joint scientific effort involving Israeli and Palestinian investigators, and demonstrates the importance of cooperative research even in politically uncertain climates.” Participating institutions included: The Braun School of Public Health and Community Medicine of the Hadassah-Hebrew University School of Medicine; the Depts. of Hematology and Pathology of the Hadassah Medical Organization; Dept. of Medical Laboratory Sciences and Dept. of Community Medicine, Faculty of Medicine, Al Quds University (Abu Dis); Cancer Care Center, Augusta Victoria Hospital (East Jerusalem); Beit Jalla Hospital (Bethlehem); Department of Statistics, Hebrew University; Department of Primary Health Care, Palestinian Ministry of Health; Tisch Cancer Institute and Institute for Translational Epidemiology, Mount Sinai (NY) School of Medicine; Rambam Medical Center and Rappaport Faculty of Medicine (Haifa); The Technion (Haifa); Chaim Sheba Medical Center (Ramat Gan); Meir Medical Center (Kfar Saba); and Tel Aviv University.